If one thing is clear, is that publisher Bethesda’s Doom reboot is one of the most eagerly awaited video games of the year. After all, this is a game being developed by id Software, the legendary outfit which produced the classic Doom game and its sequel in the early 90’s, and made the first-person shooter genre one of the most prominent in gaming. So it is logical that fans of first-person action games are eagerly awaiting this game’s release, which is slated for May 13, 2016 according to publisher Bethesda. 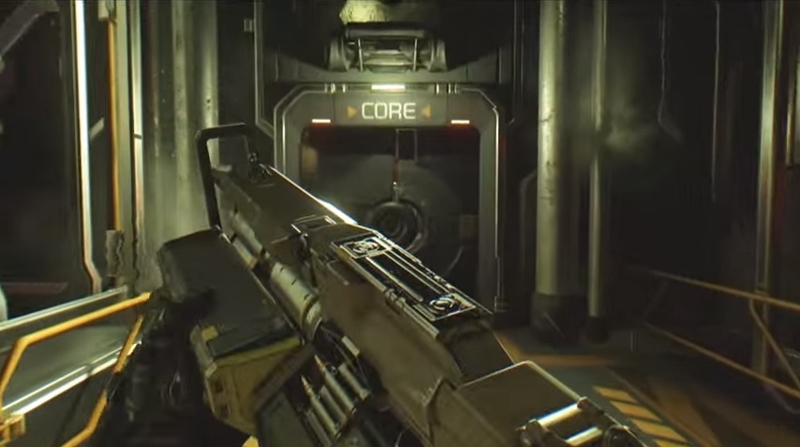 And it is likely that veteran gamers got goose bumps when they saw the iconic Revenant in the game’s campaign trailer (see below), the towering monstrosity with a rocket launcher strapped to is back that was one of the scariest enemies in the original Doom games. But will this Doom reboot turn out to be a great game or not? If we look at Bethesda’s latest first-person action offerings, which were made using id Software’s graphics engine, then it is likely that this new Doom will at least be a solid game. Because its recent efforts like Wolfenstein: The New Order and Wolfenstein: The Old Blood featured good first-person shooting in a sci-fi World War II setting, with good visuals and exciting action. Although no matter how you look at it, it is clear that id Software’s glory days are long gone. Back in the 90’s, with John Carmack at the helm, the developer was at the forefront of graphics technology and innovative gameplay. The company was an industry leader, with games like 1996’s Quake being the first to feature true 3D graphics. But id Software lost its edge in 2004 with the release of Doom 3, which promised to outdo everything in the genre but was instead eclipsed by Valve’s Half-Life 2 and Crytek’s original Far Cry game. id Software’s 2011 Rage game wasn’t the masterpiece many were hoping it would be. And industry legends like John Romero (who went on to create notorious video game flop Daikatana) and John Carmack have left the company since then. And while the more recent Wolfenstein games were pretty good, id Software’s 2011 Rage game was something of a mixed bag, which promised much and in the end failed to deliver. And it is obvious that the video game arena is as competitive as it has ever been, with many high profile action games like Far Cry Primal going to be released in 2016. Next: Final Fantasy XV Rumoured to Be Coming to PC, but How Good Will This Version Be?